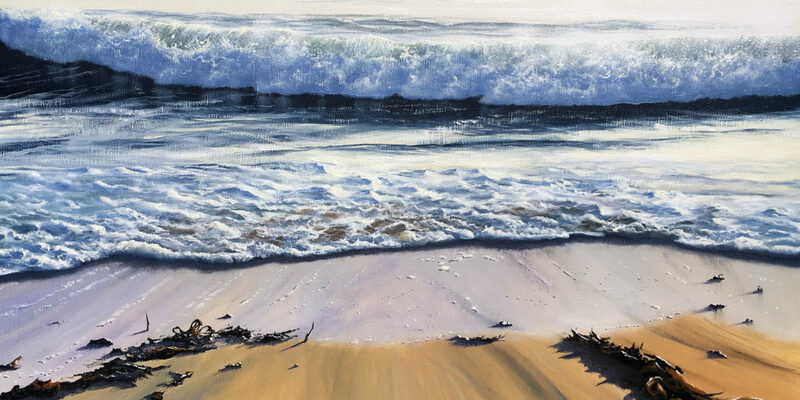 We discover Vincent Basham’s incredible artwork, capturing Cornwall’s coastline with a masterstroke. 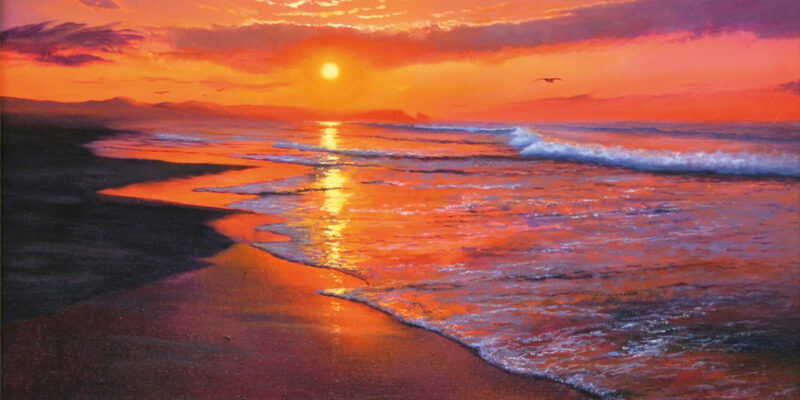 It never ceases to amaze when an artist can capture a moment so accurately, bringing to life the colours and tones of the world even more vividly than a photograph. 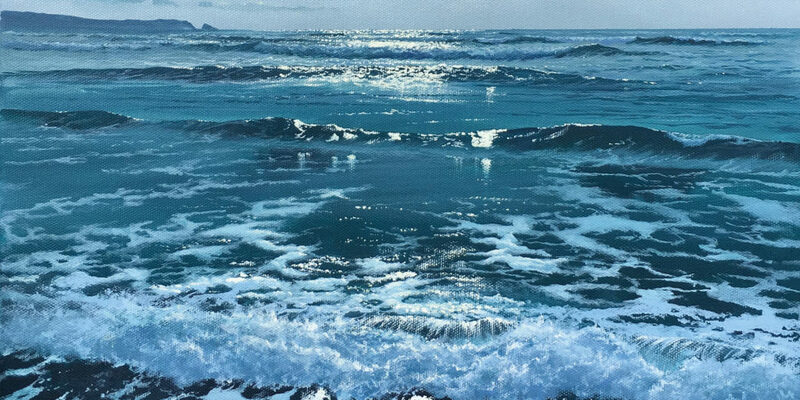 Vincent Basham is one such artist, unbelievably talented, his seascape oil paintings accentuate the stunning colours of Cornwall’s coastline, manipulating paints to create a real-life effect, with light radiating out of his paintings and drawing the observer in. We hear a bit about Vincent’s history. He tells us: “I was a born in Maldon, Essex and was educated at Thurstable School in Tiptree where my paintings were first exhibited as a young teenager, but actually I was essentially self-taught, and painting has always been what I love to do most.” More recently his work has been displayed in prestigious galleries in London, Essex, Suffolk and in the south west. When he was invited to attend a royal visit from HRH Prince Charles and the Duchess of Cornwall in Essex, his work was being displayed among other local artists in a public house and he was able to speak to the royals in person about his paintings, and about his time living in Cornwall, a resounding moment for him. 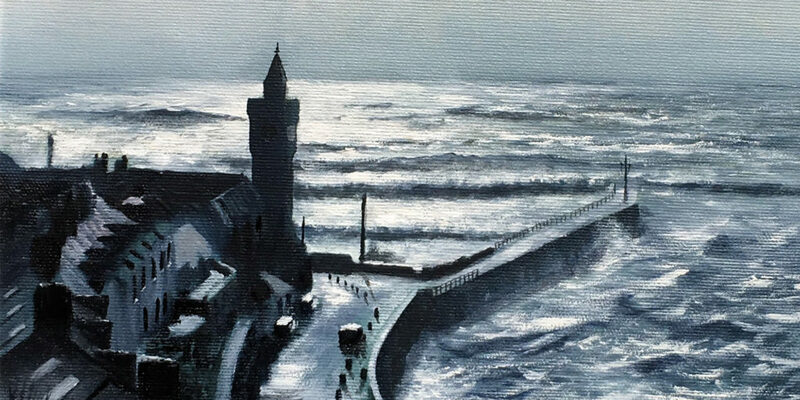 After living in Cornwall in his early twenties, Vincent developed a keen passion for painting seascapes, capturing the colours and movements of the sea with a masterstroke. He has recently moved back to the Duchy with his partner Jane and their dog Stella to the town of Wadebridge, where he has a purpose-built studio adjacent to his home. Boasting views over the River Camel and the Camel Trail, it’s the perfect spot to seek inspiration and continue to produce breath-taking paintings. 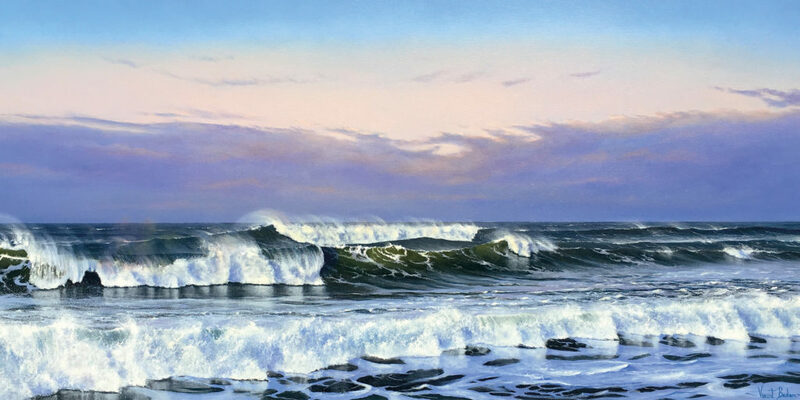 Check out his seascape art exhibition being displayed at the Padstow Institute this summer from 18th to 23rd May, 4th to 9th June and 23rd to 27th September and look out for his mesmerising depictions of sunsets. 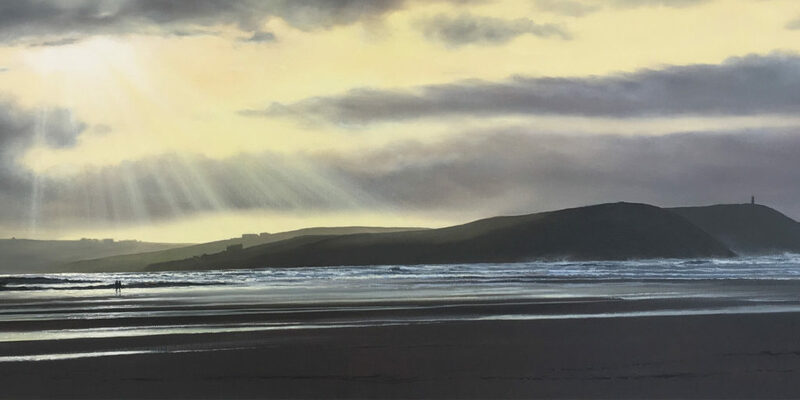 Some of our favourites within his collection (as seen on his website) are: ‘Evening Embers’ and ‘Summer Surf.’ We also love the scene of people strolling along the beach at Polzeath as the sun breaks through the clouds in ‘Winter Sun Polzeath’ as it’s rare for Vincent to include figures within his paintings, and the spill of light over the cliffs is absolutely beautiful. "he was able to speak to the royals in person about his paintings, and about his time living in Cornwall, a resounding moment for him."